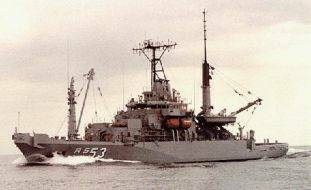 USS GRAPPLE was the last ship in the SAFEGUARD class and the second ship in the Navy to bear the name. 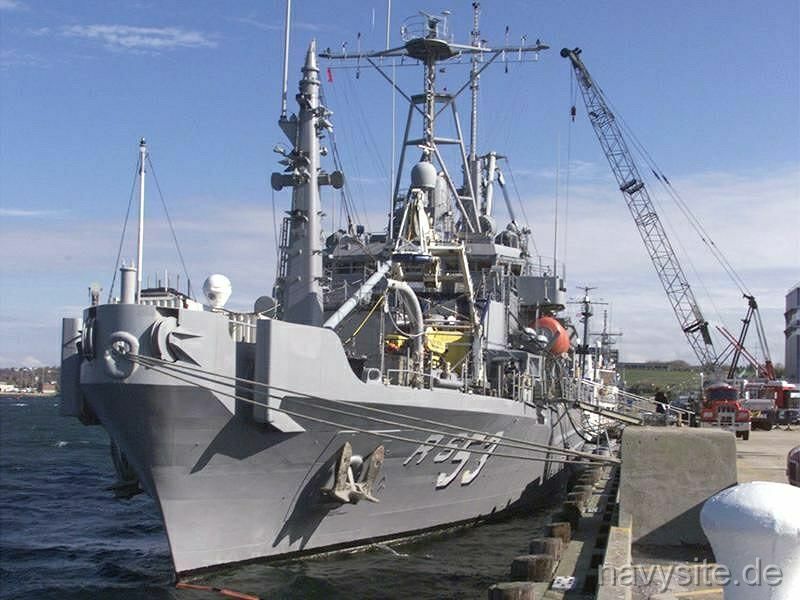 On July 13, 2006, the USS GRAPPLE was transfered to the Military Sealift Command and was subsequently operated by a civilian crew. Deactivated on October 1, 2016, the GRAPPLE is presently held in reserve at the former Philadelphia Naval Shipyard, Penn. This section contains the names of sailors who served aboard USS / USNS GRAPPLE. It is no official listing but contains the names of sailors who submitted their information. 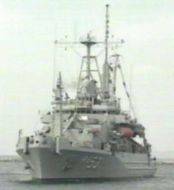 In August and September 1996, USS GRAPPLE participated in the salvage mission at the TWA Flight 800 crash site. USS GRAPPLE operated the Navy's Remote Operated Vehicle (ROV) "Deep Drone" (image on the right) to recover small pieces of debris at a depth of about 120 feet off Long Island, N.Y. Additionally, divers continued to look for clues, finding even the smallest pieces of wreckage on the ocean floor, and returned it to the surface for evaluation. 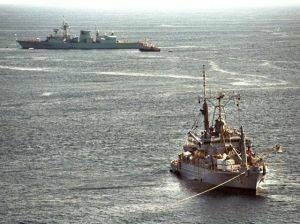 Two years later in September of 1998, USS GRAPPLE, HMCS HALIFAX (both on the left image) and the Canadian Navy diving tender SECHELT conducted search and recovery operations at the crash site of Swissair Flight 111 off Peggy’s Cove, Canada. 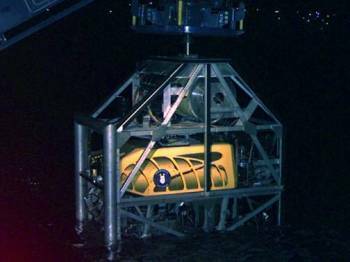 GRAPPLE brought the Mobile Underwater Debris Survey System (MUDSS) technology to provide detailed images of the ocean floor. Again one year later in November of 1999, USS GRAPPLE conducted search and recovery operations for an Egypt Air Boeing 767 (image on the left) that crashed near the island of Nantucket on October 31, 1999. All 217 passengers died. On November 3, the "black box" could be found by the coast guard and later this "black box" was recovered by "Deep Drone". The Romeo flag is flown by the ship that is to be ready at a moment's notice to leave port and perform its mission. 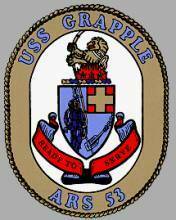 This flag on the old and new GRAPPLE's crest represents the constant vigilance demanded of both crews. The MK 12 diver, carrying an underwater hydraulic tool, and the modern stato anchor next to him, contrast the MK 5 and eells anchors on the original GRAPPLE's crest, and symbolize GRAPPLE's commitment to being the most technologically-advanced salvage ship afloat. The blue and gold wreath shows the colors worn by all Navy divers while diving and physically training. The flame represents the fury and danger of war; the three stars stand for the three wars in which the original GRAPPLE served. The lion amid flames, represents the courage needed to save other ships in combat. The two white stars upon the collar stand for this ship, the second to be named GRAPPLE. USS GRAPPLE departed its homeport, Naval Amphibious Base Little Creek, Norfolk, Va., on the way to assist in rescue and recovery efforts following the crash of Egypt Air Flight 990 off the coast of Nantucket, Mass. Members of the U.S. Navy's Supervisor of Salvage task force used a crane to load the Deep Drone 7200 Remotely Operated Vehicle (ROV) aboard the USS GRAPPLE, one of the Navy ships assisting in the seach and recovery efforts following the crash of Egypt Air Flight 990 off the coast of Nantucket Island, Mass. USS AUSTIN (LPD 4) and USS ORIOLE (MHC 55) got underway that morning from Norfolk, Virginia enroute to Newport, Rhode Island to join the USS GRAPPLE and USNS MOHAWK (T-ATF 170) in the Navy's Egypt Air Flight 990 recovery operation. Recovery efforts have, thus far been stalled because of high seas and bad weather. While it was sunny and calm in Newport, Rhode Island, at sea the condition at the site of the wreckage included waves up to 22 feet and winds gusts of over 35 mph. When the weather improved, the USS GRAPPLE and other units in the recovery group, including three CH-53E Sea Stallion helicopters from HM-14 Detachment 2 Norfolk, Virginia began their operations. All of the Navy ships involved in the effort had the specialized equipment installed on board to facilitate the underwater recovery operations. 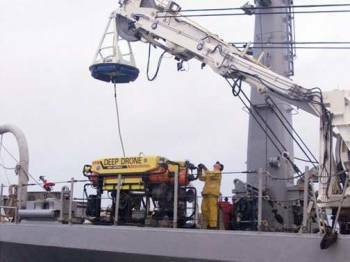 The USS GRAPPLE employed an installed Deep Drone 7200 Remotely Operated Vehicle (ROV) to assist in the recovery of material from the ocean bottom. 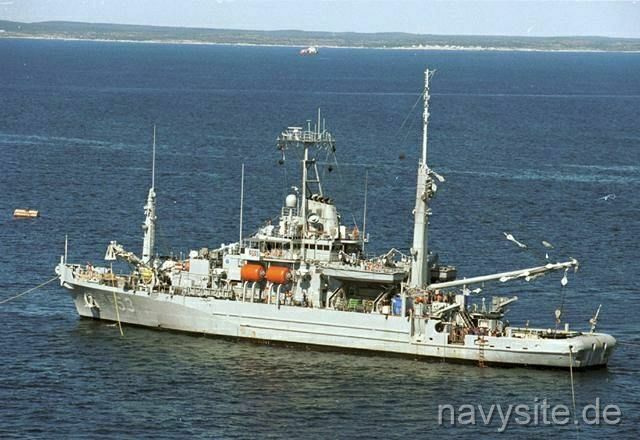 The Navy doubled its ROV assets at the site of the Egypt Air Flight 990 recovery that day when USS GRAPPLE returned to join SSV CAROLYN CHOUEST, which got to the scene that morning. GRAPPLE was forced to return to Newport, RI, yesterday due to unfavorable weather. 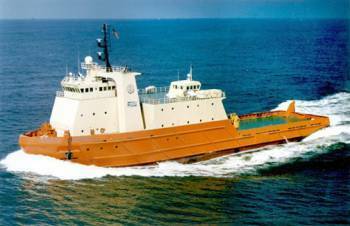 CHOUEST was loaded with the Remotely Operated Vehicle (ROV) "Magnum" which continued the search for the two black boxes from the plane. Thus far, pingers from the plane had been heard but the boxes had not been located. 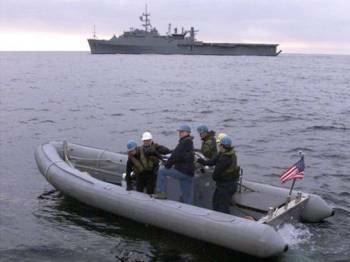 A small boat carrying the flight data recorder from the crash site of Egypt Air Flight 990 returned to USS AUSTIN (LPD 4). The flight recorder was transported by helicopter to Andrews Air Force Base and then taken to the National Transportation Safety Board's Washington lab where experts analyzed its contents. 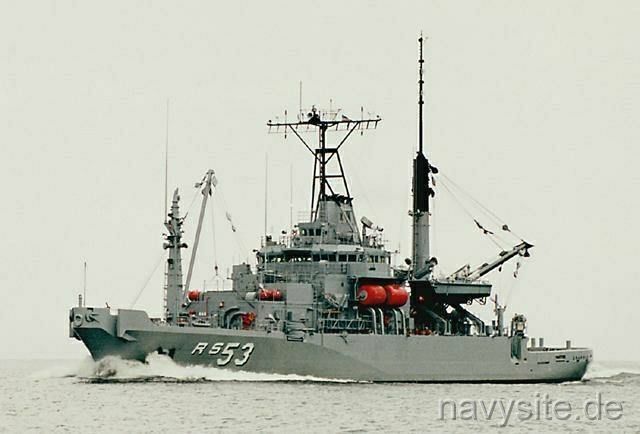 U.S. Navy Remotely Operated Vehicles Magnum and Deep Drone continued their search for Egypt Air Flight 990's cockpit voice recorder that day off the Massachusetts coast. The National Transportation Safety wanted to analyze the cockpit voice recorder to investigate the crash of Egypt Air Flight 990 on October 31, according to James Hall, NTSB chairman. A break in the weather late Friday afternoon at the aircraft crash site allowed the Navy to resume the search for the aircraft's second black box. 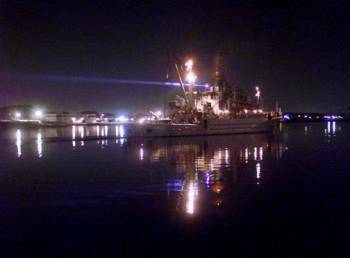 Navy salvage ship USS GRAPPLE, salvage tug USNS MOHAWK (T-ATF 170) and U.S. Coast Guard Cutter JUNIPER got underway from there early Friday morning. The ships rejoined USS AUSTIN (LPD 4) and the Submersible Support Vessel CAROLYN CHOUEST on Friday afternoon as part of the recovery task force. 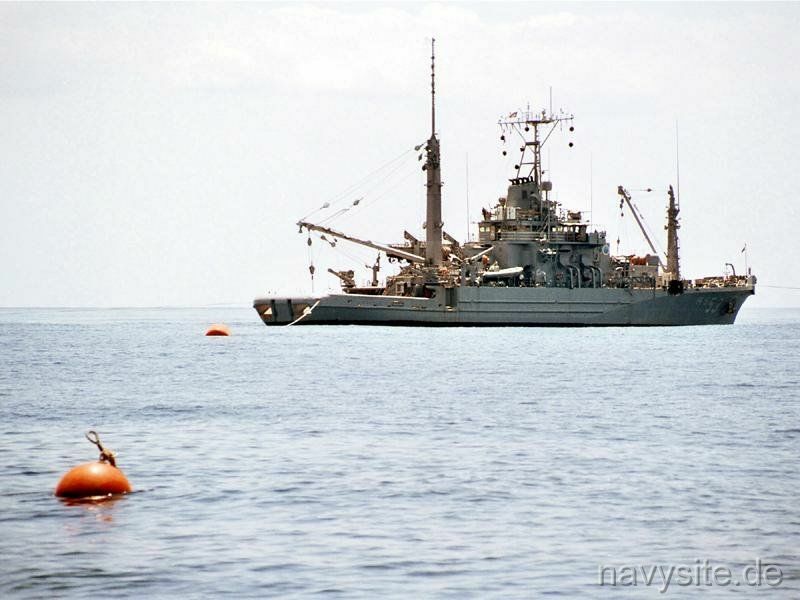 That day while the ROVs operated from USS GRAPPLE and SSV CAROLYN CHOUEST, USNS MOHAWK used side-scan sonar to map the underwater debris field. USS AUSTIN served as the recovery force's command ship. Magnum temporarily suspended its search after damaging its control cable on sharp aircraft wreckage. Repairs were quickly made to the ROV. Magnum was placed back in operation that afternoon. USS PORTLAND (LSD 37) got underway on Monday to relieve USS AUSTIN. USS PORTLAND assumed the role of recovery force command ship allowing USS AUSTIN to prepare for an upcoming deployment. The search for the black box continued as the Navy took advantage of the window of good weather. Forecasts called for several days of poor weather beginning Sunday evening. 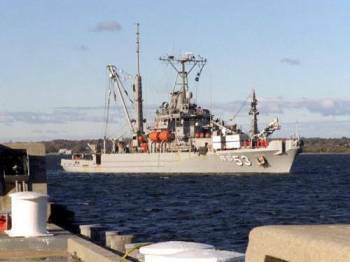 USS GRAPPLE returned to pier 2 at Naval Station Newport in Newport, RI, Monday, after successfully recovering the cockpit voice recorder from the crash and recovery site of Egypt Air Flight 990. Numerous U.S. Navy, Coast Guard and other governmental agencies had been involved in the effort of recovering the flight data and cockpit voice recorders to assist the NTSB in determining the cause of the Oct. 31 crash. Back to Rescue and Salvage Ships site. Back to ships list. Back to selection page. Back to 1st page.